It’s a cold day in Northeast Ohio and your furnace stops working. 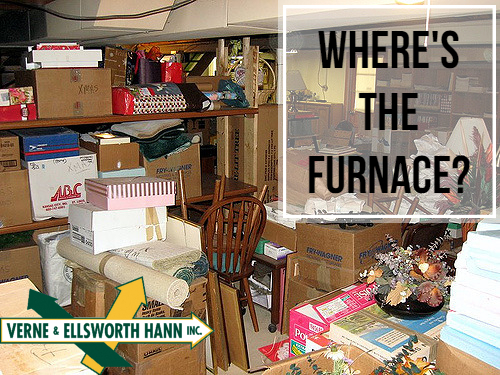 The technicians here at Verne & Ellsworth Hann in Cleveland Heights, are happy to get your heating system up and running…but they have to be able to find it! Do you have a lot of clutter in your basement? It’s important to make sure there is access to your furnace. Not only for maintenance and repairs, but for safety purposes. Make sure the area around your furnace or boiler is clear of clutter and make sure there is a path to your heating system. 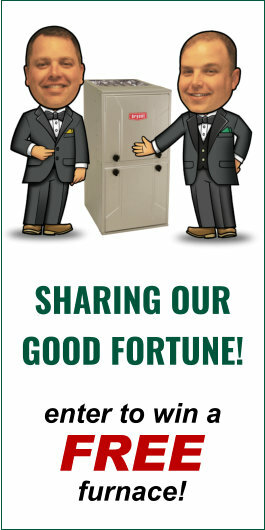 Northeast Ohio homeowners have trusted Verne & Ellsworth Hann with their heating systems for over 64 years. Specializing in steam and hot water boilers, Verne & Ellsworth Hann is the ONLY Hann family owned heating, cooling and plumbing company in Cleveland.